It was one of my most anticipated reads of 2016 and it did not disappoint. I didn't want to put this book down for anything. I kept reading, even while I was at work and while my family was waiting for me to start dinner, and you guys... IT WAS WORTH IT! The Star-Touched Queen is a book of beautiful artistry and sophistication. I simply can't contain all of my feelings about it because it's just so amazing. Roshani's words are pure art and I loved every second of it. She combines Indian and Greek mythology into this incredible story of the main character, Maya, who just wants to find her place in the world. There are so many things to marvel at when it comes to The Star-Touched Queen. The otherworldly setting and the characters—it's all absolutely marvelous. Roshani's work is definitely going to be an auto-buy for me in the future. 1) The writing, oh my god, the writing. Roshani paints The Star-Touched Queen with sophistication and beauty. Her writing is filled with stunning imagery and wonderful dialogue. I marveled over each of her words and re-read sections over and over again because of how hard I was fangirling. This book is a masterpiece that we all could learn from. 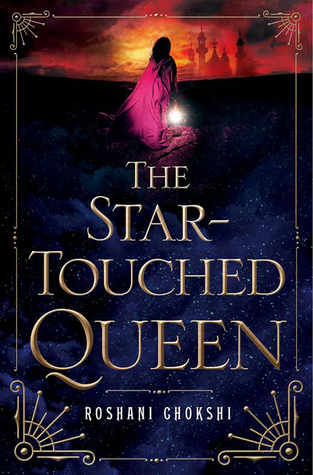 2) All of the characters in The Star-Touched Queen felt so real. No one is perfect and each person makes mistakes with repercussions. They are all so well-rounded and I felt that I could really see into each character's mind. 3) If you like Studio Ghibli films—particularly Howl's Moving Castle and Spirited Away—you will love the world and magic in this book. The Night Bazaar reminded me a lot of the these movies and it was magnificent. 4) I love the bond between Maya and Gauri—it was just so sweet and pure. It made me want to go and hug my sisters. Their relationship was just so great and truly really refreshing, especially since we don't see sisterly love in books nearly enough. You're welcome =) Good luck! Thank you for the giveaway, Brittany! I haven't read it but I've only heard GREAT things. You're welcome! Believe all of the hype, it's amazing! YES!!! The writing was probably my most favorite thing!!! It was completely gorgeous! I also loved AMAR!! I wish there were more scenes with him and Maya XD. The writing is exceptional, I could go on and on about it. I also wish that there were more scenes of Amar and Maya, they were so cute. This is also one of my most anticipated books of 2016 and omg!! I'm so glad you enjoyed it :D Honestly that last quote made me want to squeal because I experienced all the feels even though I haven't even read the book yet :P I honestly can't wait to read this book haha. Great review! It's really a special book and that quote makes me swoon each time I read it, that's why I had to include it the review. Thanks a million for the opportunity and for making it international :P Awesome review btw :P love that sheldon GIF :P !! You're welcome =) All of my self-hosted giveaways our international so be on the look out for my future giveaways as well. And that Sheldon gif, I've been dying to use it for something and it fit perfecting for this! Great review! I can't wait to read this! Thanks so much for hosting a giveaway! 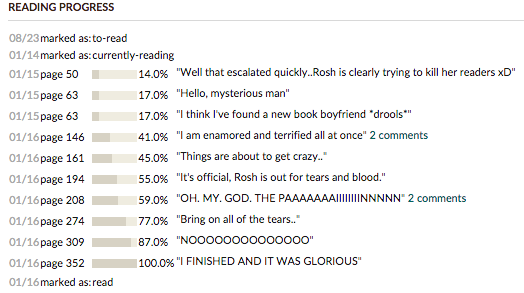 Wow the book quotes alone have convinced me Brittany, and I love your goodreads updates! I love books that incorporate mythology in them and i love your review it makes me so excited to read it even more !! And the cover is to DIE FOR!!! I have always loved mythology but it's rare that I find a book that incorporates it without it being cheesy, at least for me. I did not have that problem with this book. I'm glad my review made you more excited and that you pick it up when it's published. THE COVER IS GORGEOUS! Oh my those quotes!! Can't wait for this book now!! Was looking forward to it before but after reading such a great review and those snippets from the book, now I am just plain excited!! When I read reviews, it's always the snippets that get me which is why I include them all in my reviews. So, I'm glad that the snippets I chose made you want to read this book even more! Thank you! I was so inspired after reading this book that I had to write the review immediately after. It really is a wonderful book and that I hope that you enjoy it. This is the first time that I have heard of this book, but now I definitely plan to pick it up! Really? Well, then I'm glad to be the one to introduce it to you! It is a must add to your TBR!! OMGOMGOMG. Thanks for the giveaway. I CAN'T WAAAIT. I really, really can't wait for this book! It sounds soooooo good! Thank you so much for the giveaway! One of Roshani's favorite books is Howl's Moving Castle, so I think that's why the magic is similarly described and IT'S AWESOME! I am so so excited for this book! The description, the cover and just everything about it sounds so so good. Thanks for the giveaway. Yaaaay :D Amazing review Brittany. <3 I'm thrilled that you loved this book so much. Sigh. You make it seem AMAZING :D And no triangle. And awesome romance. And yeah. 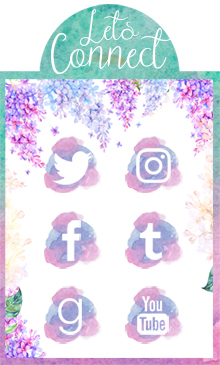 I think I will love it a lot :) Fingers crossed for your giveaway. <3 Wish to read it early so badly :) Thank you for the chance sweetie. The GIF use was PERFECTION. You should be excited for this one because it's wonderful! There are some things in it that might break your heart but you'll enjoy it haha. I'm very excited to read this book! I've heard amazing things about it (including this review!) and I'd love to read it! Yours is actually the first review I've seen and I am FREAKING OUT. I'm so happy you loved it and it makes me even more excited to read this book. A massive selling point to this review is the swoon Amar, I won't lie. Who doesn't want another book boyfriend? ;) Fantastic review Brittany and thanks again for the giveaway! xo. omg Spirited Away is one of my favorite movies & THOSE QUOTES. My heart is far too delicate for them. Amar sounds so gorgeous. I seriously can't handle. I literally feel like Rapunzel from Tangled, thinking of him, haha. Darling review & thanks for the giveaway! Amar is gorgeous--this whole book is gorgeous. You need this book in your life! Yes, you need it. You'll love it, it's ART! That's all I can really say without spoiling anything. No problem, I love doing giveaways =) This is truly an amazing book and I hope you'll love it. I try to do as many international giveaways as I can =) Good luck! I TRUST IN YOUR HYPE, BRITT :D.
This sounds so very lovely! TSTQ is a much-anticipated read for me in 2016!!! I'm definitely excited about reading this book! I keep hearing about it and it sounds amazing!! IT'S SOOOOO GOOD! I hope you LOVE it! Yep, this sounds amazing. Adding it to all the lists! Cannot wait to read this book. Thanks for the giveaway opportunity! I have not read this as of yet, but very excited to! Thanks for the chance to get the book to read it!! Yay =) Good luck for the giveaway! Well, to say I'm excited for this book would really be understatement.. I can't freaking wait!! Is it May yet, is it?! I CAN'T CONTAIN MY EXCITEMENT, THIS BOOK IS FANTASTIC! So excited that I can't breathe! This book is breathtaking so it's fitting!